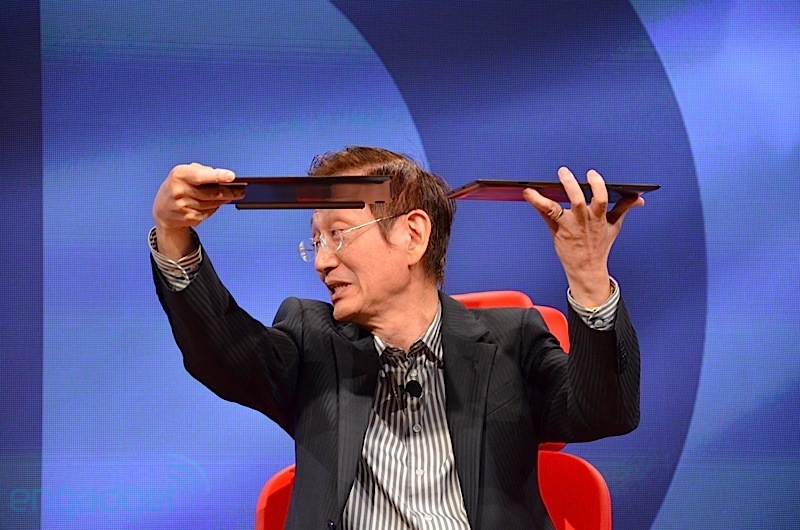 Asus chairman Johnny Shih was on stage last night at AllThingsD’s AsiaD conference and brought with him something special. 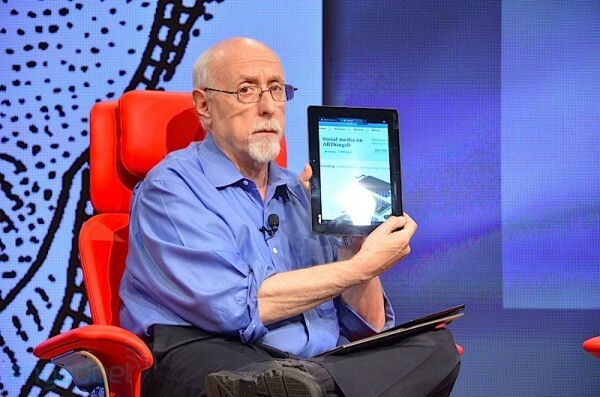 After a brief conversation on stage, he jumped into a briefcase that he had carried out which just so happened to be holding the new Transformer tablet. Instead of Transformer 2, they are calling it the “Prime” (popular name in the Android world these days). It’s only 8.3mm thick, which is mind-bogglingly thin. For reference, the Galaxy Nexus is 8.84mm and the iPad 2 is 8.8mm. Shih confirmed that it will run NVIDIA’s Tegra 3 processor, has a 10″ screen, docks into a keyboard just like the original Transformer and will be announced on November 9. Asus’ main man also confirmed that Ice Cream Sandwich has a good chance at being on tablets before the end of the year. It sounds like companies are just waiting for Google to release source so that they can pump out updates as soon as possible.